Back in November we wrote about what small businesses should be keeping an eye on as tax season nears. Each year, tax extenders – temporary tax breaks that Congress can choose to renew annually – are a big part of tax preparation for businesses. Unfortunately, they fluctuate each year, and Congress doesn’t always release details about how much a business can deduct for the tax year until the last minute. This year, Congress attempted to not leave things until the very last minute, and has agreed on an extender deal – although you could argue that agreeing on bill in mid-December is the very definition of last-minute. While it has not yet been signed into law as of this writing [President Obama did, in fact, sign this bill on December 18], the deal could bring good news for businesses if the President does sign it. The bill includes 52 extenders, among them: research & development credit, Section 179 deductions, and bonus depreciation. It also makes many provisions permanent, and provides guidance for the laws that will phase out over time or expire. Mike Kelley, a CPA/ABV, and CVA with Wheeler Fairman & Kelley Certified Public Accountants in Austin, Texas, says some of the most important provisions of the bill that was recently passed by the House are permanent rules for Section 179 expensing at $500,000 per year, and the research and development tax credit. Sec. 179 applies to business purchases, and includes both new and used items. For 2014, the limitation per individual for Sec. 179 was $500,000, and it gets phased out after acquiring $2 million in property. That meant small business owners could “deduct the full costs of up to $500,000 on most depreciable assets that have less than a 20-year life, such as a new or used computer, equipment, vehicles, furniture, and more,” according to Entrepreneur.com. If a bill isn’t passed into law, that amount would go down to $25,000 on January 1. Should the bill be signed into law, it will keep Section 179 at higher limits and index the deductions for inflation in the future. Most importantly, that deduction would become permanent. Here is a quick example of how Sec. 179 might work for a business owner: if a business buys a computer for $1,000, Sec. 179 lowers that business’ taxable income by $1,000 in the year the computer is purchased. Without Sec. 179, only the annual depreciation of the computer, not the full cost of the computer, would be an expense in the first year. On a five year depreciation schedule that amount would be $200 per year. The business owner could only expense $200 of the computer in the first year, which would make taxable income $800 higher than it would have under Sec. 179. Changes to the research and development credit mean that the credit is not limited by the alternative minimum tax, or AMT. 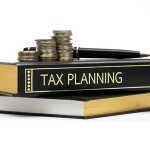 The AMT allows the government to limit deductions to a set amount. It’s a way to ensure that wealthy taxpayers can’t use loophole to avoid paying taxes. The AMT is a parallel tax system that Kelley says most people aren’t aware of, because it doesn’t affect them. According to the Tax Policy Center, the AMT sets a floor on total tax liability. Taxpayers whose income exceeds the AMT exemptions must calculate both regular tax and AMT liabilities, and pay the higher amount. What does that have to do with the research and development credit? Some tax credits are limited to that AMT “floor” – the research and development credit was one of them. If the new bill passes, the credit will no longer be limited by the AMT floor, Kelley says, and that means business owners will be able to use more of the credit. Kelley says it’s also significant to note that the bonus depreciation will phase out over the next 5 years: 50% for 2015 to 2017, 40% in 2018, and 30% in 2019. While a business has to have a net income to take Section 179, so it cannot be taken during loss years. A bonus depreciation, however, can be used during a loss year without limitations on income or dollar amount, although it can only be used on purchasing new assets. Bonus depreciation got started after the dot-com bust as a way to prompt businesses to buy new assets and stimulate the economy. When you buy new business-related items like computers, desks, or other equipment, you can write off half of that in the year you placed the new item in service.